Will - Interpretation of the terms of a Will - the testator wished that ‘Schedule A’ properties are to be enjoyed by the male children - it is within the power of the testator to decide whether he wants the property to be held by the male members. Advocates Act, 1961 - Sections 4, 10B, 15 & 49 - Bar Council of India Rules - Chapter I of Part II -Rule 2, 3 & 7 - For holding election of a member of Bar Council of India to be elected by State Bar Council, notice and agenda has to be issued by the Secretary of the State Bar Council, which is a statutory requirement. Bail - High Court declined to grant bail - petitioner is not keeping well - It is for the petitioner to approach the Sessions Judge who, in his judicial discretion, is empowered to pass appropriate orders keeping in view the facts made out by the petitioner in that behalf after hearing all parties concerned. The special leave petition is dismissed. Labour Law - Whether the Courts below (Labour Court, Single Judge and the Division Bench) were justified in rejecting the application filed by the employer to the Joint Commissioner of Labour (certifying officer) seeking therein a permission to add one more new ground i.e. “break in service” in Clause 16 of the Chapter of Punishment in Certified Standing Orders - Held, a “break in service” cannot be allowed as a ground by way of punishment in Clause 16 of the Chapter of Punishment in Certified Standing Orders. Firstly, the existing grounds enumerated in Clause 16 by way of punishment are sufficient to take care of any misconduct committed by any employee and there appears no reason to introduce one more new ground in the existing grounds specified in Clause 16 for imposing a new punishment. Secondly, the proposed ground, if allowed, would likely to be misused by the employer against its employees for their own benefit and detrimental to the employees’ interest. Thirdly, it would enable the employer to take action against its employees even in a situation where an employee is found absent even for a day and such absence will be treated as “break in service” under the Certified Standing Orders and also under the Payment of Gratuity Act. It will, therefore, be in conflict with the definition of the expression “continuous service” defined under the Payment of Gratuity Act which gives different modes of calculation for determining the continuous service for payment of gratuity amount. Fourthly, such ground will, therefore, defeat the very object of the Payment of Gratuity Act which is a beneficial legislation enacted for the benefit of the employees and lastly, it is neither bona fide nor reasonable and nor required and hence it cannot be allowed. In our opinion, we find no good ground to differ with the reasoning assigned by the Division Bench mentioned above for rejecting the application made by the appellant (employer) for adding, “break in service” as a new ground for punishment in the Certified Standing Orders. The reasons given by the Division Bench, in our view, deserve to be upheld. In the light of the foregoing discussion, we find no merit in this appeal. The appeal thus fails and is accordingly dismissed. Workmen’s Compensation Act, 1923 - Section 4­A (3) - Grant of interest on the awarded sum - When does the payment of compensation under the Act “becomes due” and consequently what is the point of time from which interest on such amount is payable - An employer becomes liable to pay compensation as soon as the personal injury is caused to the workman in the accident which arose out of and in the course of employment. It was accordingly held that it is the date of the accident and not the date of adjudication of the claim, which is material. Workmen’s Compensation Act, 1923 - the question as to whether the employee met with an accident, whether the accident occurred during the course of employment, whether it arose out of an employment, how and in what manner the accident occurred, who was negligent in causing the accident, whether there existed any relationship of employee and employer, what was the age and monthly salary of the employee, how many are the dependents of the deceased employee, the extent of disability caused to the employee due to injuries suffered in an accident, whether there was any insurance coverage obtained by the employer to cover the incident etc. are some of the material issues which arise for the just decision of the Commissioner in a claim petition when an employee suffers any bodily injury or dies during the course of his employment and he/his LRs sue/s his employer to claim compensation under the Act. The afore­mentioned questions are essentially the questions of fact and, therefore, they are required to be proved with the aid of evidence. Once they are proved either way, the findings recorded thereon are regarded as the findings of fact. Workmen’s Compensation Act, 1923 - Section 30 - The appeal provided under Section 30 of the Act to the High Court against the order of the Commissioner lie only against the specific orders set out in clause (a) to (e) of Section 30 of the Act with a further rider contained in first proviso to the Section that the appeal must involve substantial question of law. In other words, the appeal provided under Section 30 of the Act to the High Court against the order of the Commissioner is not like a Regular First Appeal akin to Section 96 of the Code of Civil Procedure, 1908 which can be heard both on facts and law. 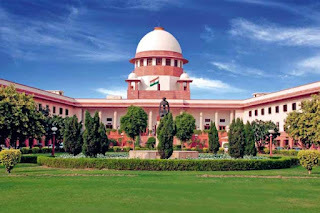 The appellate jurisdiction of the High Court to decide the appeal is confined only to examine the substantial questions of law arising in the case. Workmen’s Compensation Act, 1923 - Section 30 - When an employer files the appeal, he is under a legal obligation to deposit the entire awarded sum in terms of second proviso to Section 30 of the Act as a pre­condition to file the appeal in the High Court except where the appeal is filed against the order falling in clause (b). It is only when the employer deposits the entire awarded money along with the memo of appeal duly certified by the Commissioner, his appeal is regarded as being properly filed in conformity with the requirement of Section 30 of the Act. Such appeal is then heard on the question of admission with a view to find out as to whether it involves any substantial question of law or not. Workmen’s Compensation Act, 1923 - Section 30 - Whether the appeal involves a substantial question of law or not depends upon the facts of each case and needs an examination by the High Court. 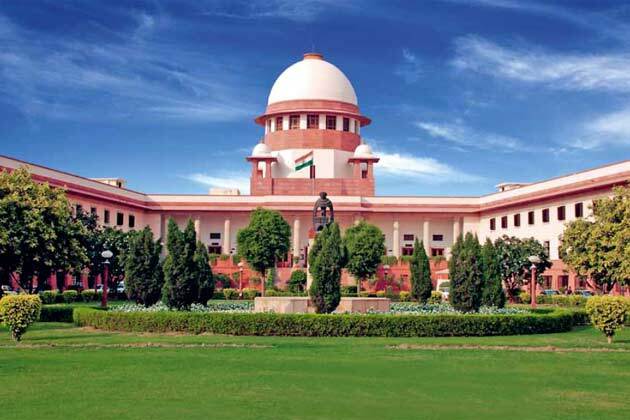 If the substantial question of law arises, the High Court would admit the appeal for final hearing on merit else would dismiss in limini with reasons that it does not involve any substantial question/s of law.